I have a new love. 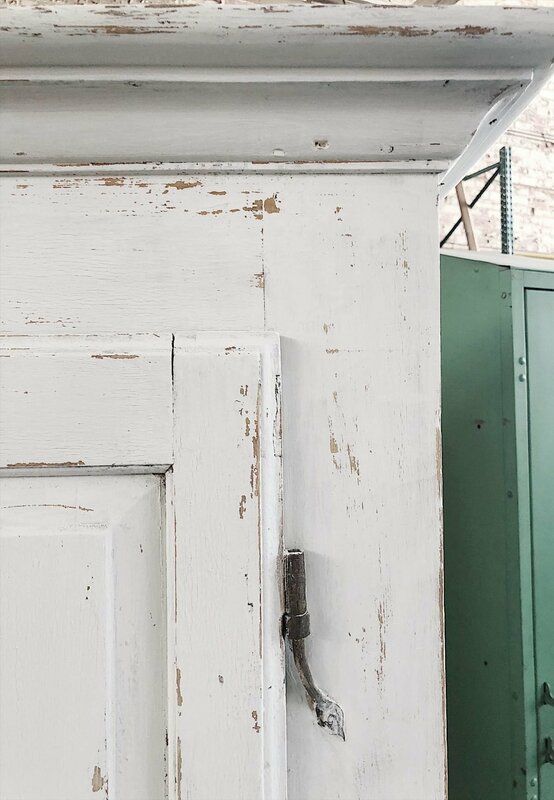 And it’s called Old Barn Milk Paint. I know, it seems silly to love a paint. But I just love what this paint can do! Old Barn Milk Pain helps you achieve a perfect chippy paint look. I am really happy to share with you my latest DIY project. I am so happy with how it turned out. Here is my newest piece of furniture acquisition. 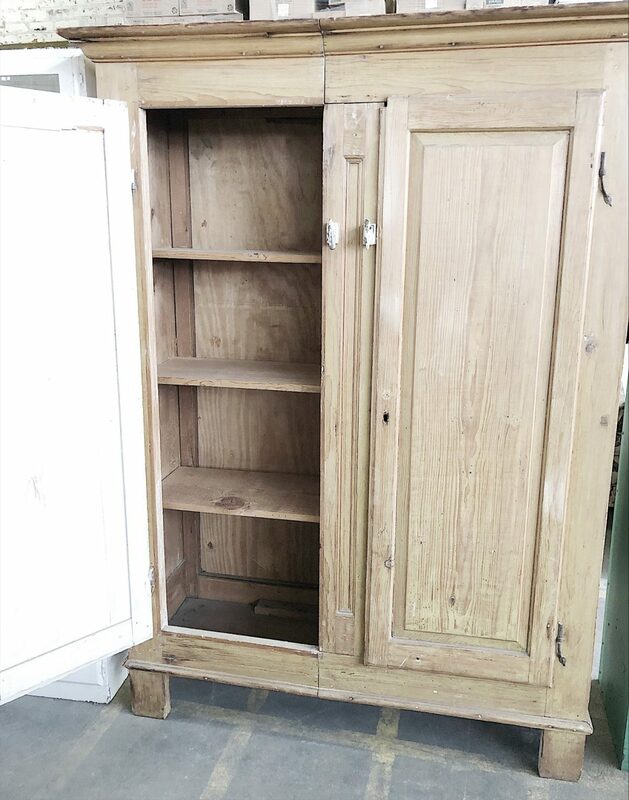 It’s an old cabinet. 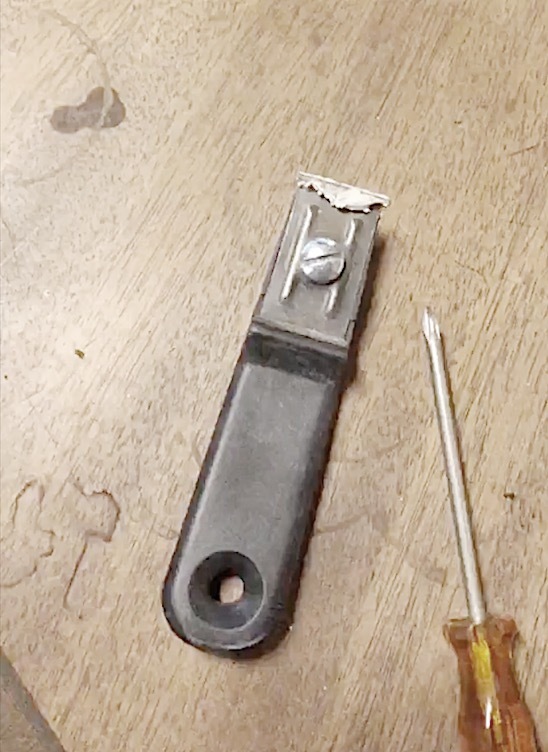 I don’t know exactly how old it is but it has square nails and the hinges are … well … incredible! At some point in time shelves were added to the cabinet. The levers on the front were also added and I took them off. Right away! The DIY project only took about three hours. 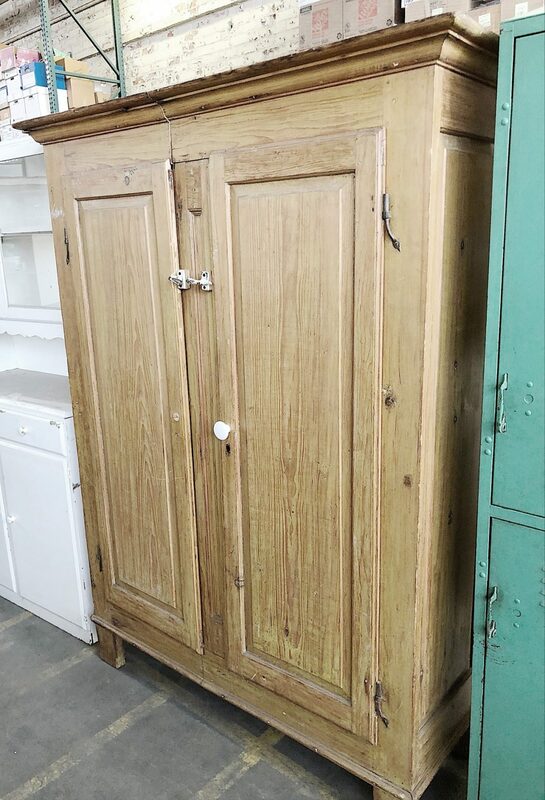 Which is pretty incredible since this cabinet is quite large. Here is a larger view of the finished project. 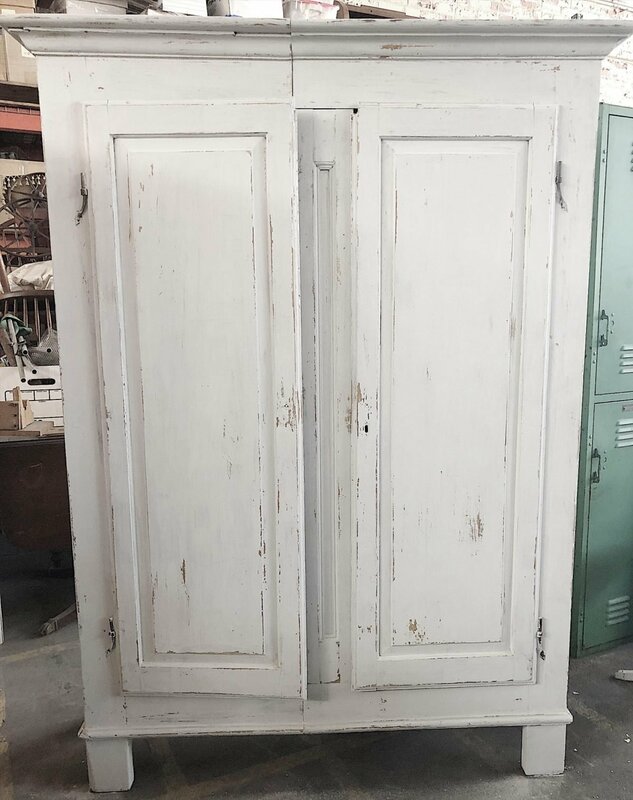 I honestly feel that the cabinet looks like it was painted a very long time ago and that the wear and tear of the paint occurred over time. 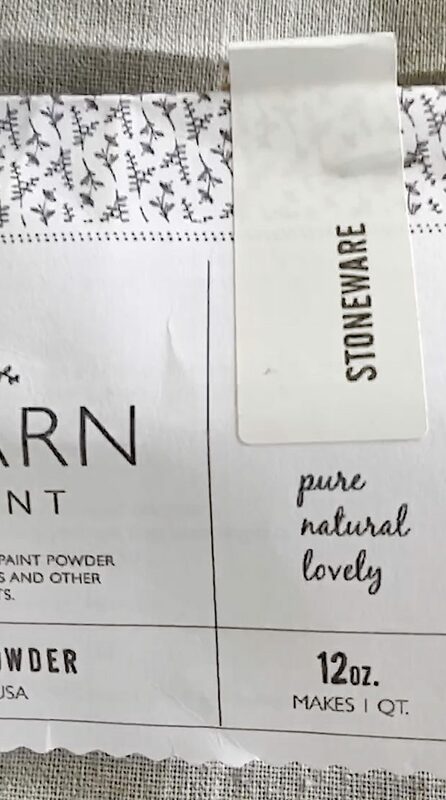 Follow the directions on the package to add water and mix up the paint. I used equal parts water and paint. 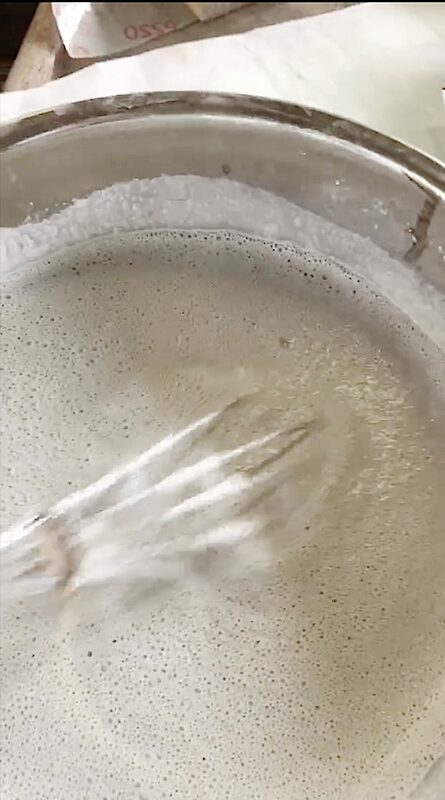 I mixed it up with a whisk and let it set for about ten minutes. 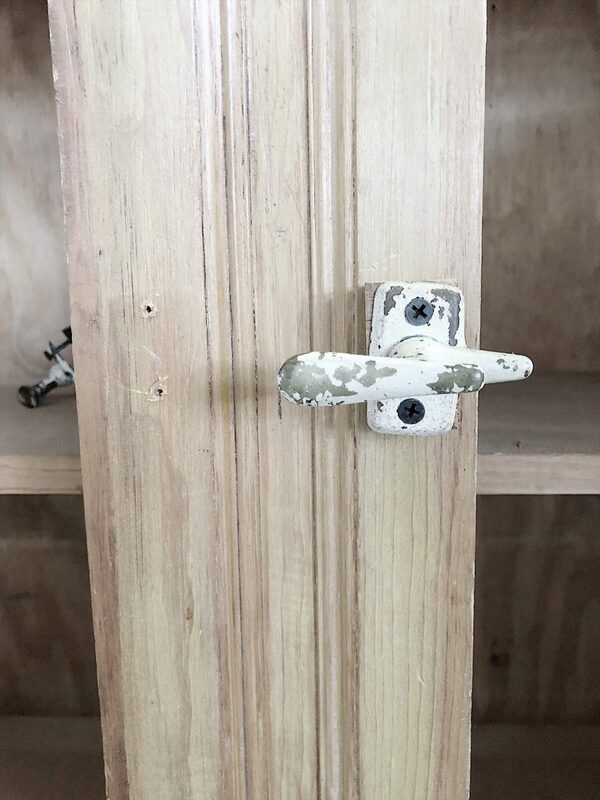 While the paint was resting, I removed the levers on the front of the cabinet. They just didn’t look right. Especially with the tiny pieces of plywood. Oh jeez. I also lightly sanded the cabinet to remove some of the varnish finish. Using a wide synthetic brush I applied the first coat of paint. The coverage was thin but don’t worry. That’s why you use two coats. 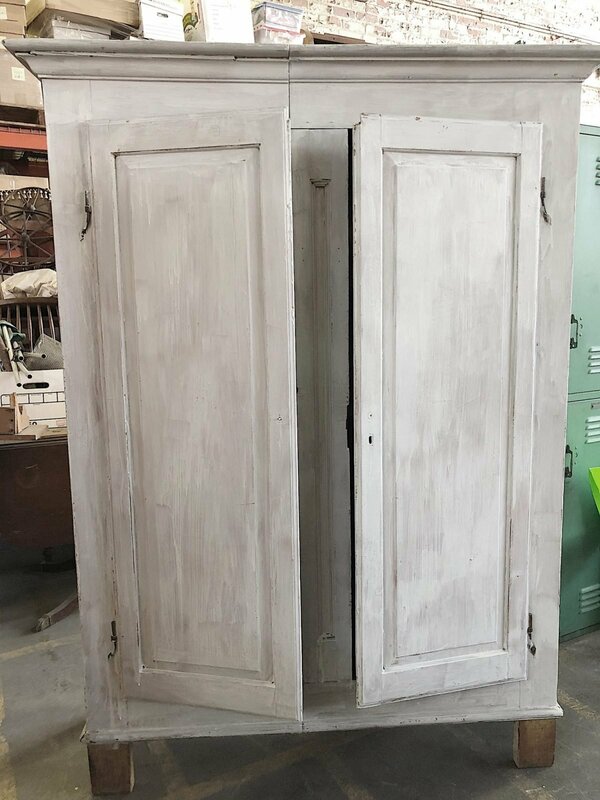 Here you can see the cabinet with one coat of paint. 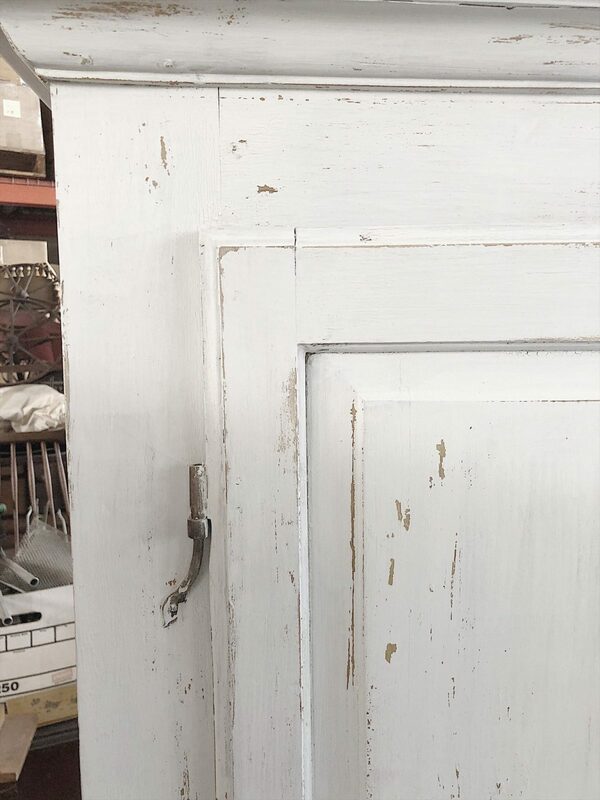 Once the paint was completely dry I used the Old Barn Milk Paint 1″ scraper and scratched off the paint where I thought normal wear and tear would have done the same. Here is a close up of the front of the cabinet. Some of the worn areas occurred naturally when the paint dried. In other areas, I scraped it off. 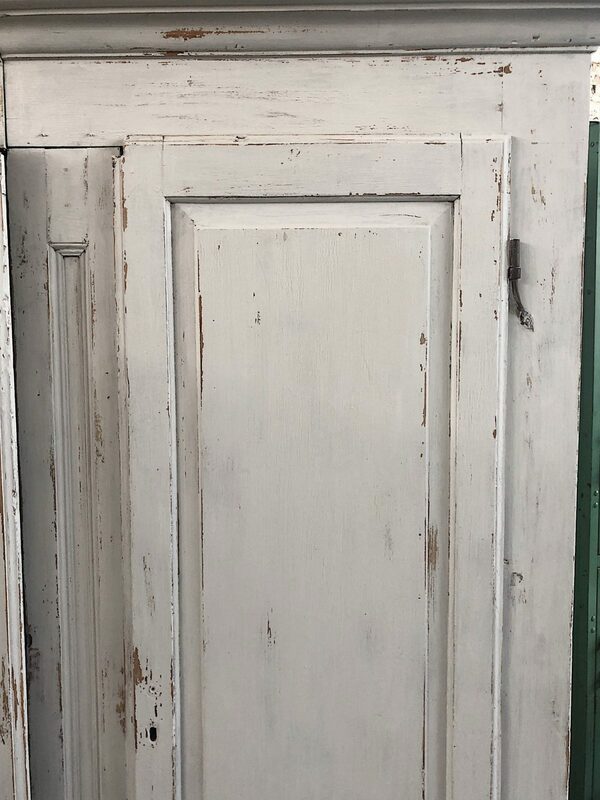 Once I was done with the scraping, I applied a coat of Old Barn Milk Paint Finish Coat so that no more chipping would occur. 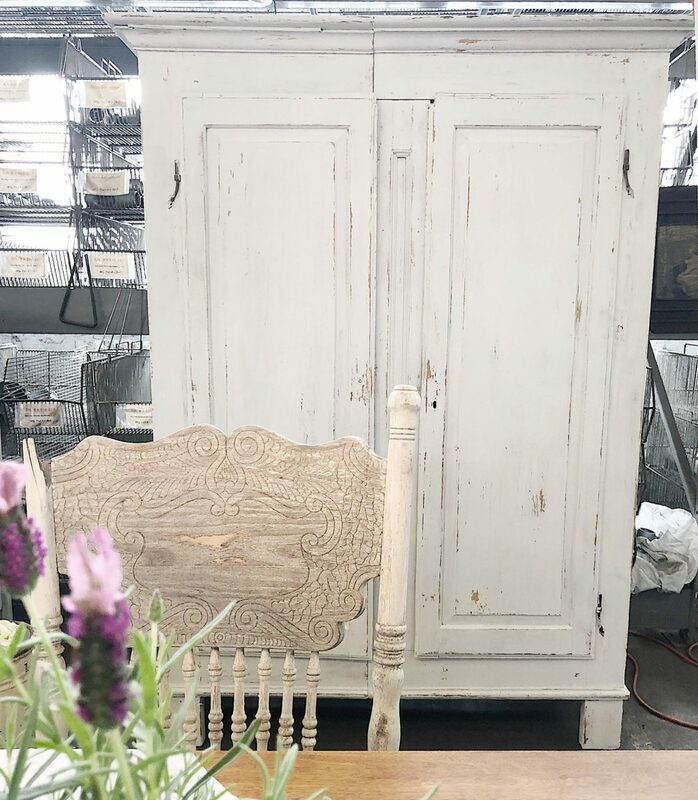 I am in love with this cabinet. And it looks so great thanks to the Old Barn Milk Paint. Now I just need to get this cabinet to my house and in my living room! Be sure to watch my Instagram stories for a step by step video tutorial. You really should try this yourself. I love how it bubble and crackled, did it stay that way even after the second coat?